Sometimes it is the people we think we know the best who surprise us the most. 1986, London: Klaudia is about to start high school. She's embarrassed by her German father-he's the janitor at her school, he has a funny accent and a limp. And when the kids at school taunt her by saying he was a Nazi during the war, she can't dispute them with confidence. She's never known exactly what he may or may not have done during the war. It is a period of time no one will ever discuss. 1995, Leeds: Eliza is in love. She has dropped out of university to pursue her passion-dance. But then talented artist Cosmo comes along and soon Eliza realizes that she might have room in her life for two loves. But can she really continue to lie to everyone around her? And why is she so afraid of the truth? 1930s, Germany: Two brothers are trying to fend for themselves during the chaos of the rise of the Third Reich. One brother rallies for the Fuhrer, one holds back. One is seemingly good, one bad. But history seems to tell a completely different story. All of these characters' fates will collide in an audiobook that explores what we are ultimately willing to do for love. 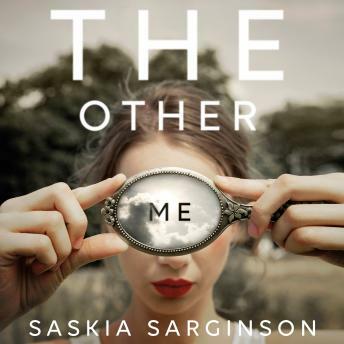 Saskia Sarginson hypnotically examines whether our identities are tied to where we've come from in a captivating mystery that shows how sometimes history doesn't tell the true story. Really enjoyed this book. It is one of those story lines that jumps around in chronological time so you have to be aware of where you are at all times. I would have liked a few of the subplots to be a bit better developed and/or resolved, but all in all a very enjoyable listen and the narration is excellent.